Here we are at the last list. It’s been an amazing year. A combination of a resolution to finish more videogames, saving for a trip to Japan and a general aversion to piracy meant I perhaps didn’t see as many movies as I may have liked to in 2013. Though I did catch a smaller movie or two throughout the year, as a general rule I only saw films many people were having conversations about – all of which means I watched more than enough movies to put together a list several times as long as this one, but said list is missing movies like Spring Breakers, Pain & Gain, The Bling Ring and Cloud Atlas. Also, because we live in Australia and for some reason still have to wait much longer for many big American films than we do even for videogames, this list is missing movies like 12 Years a Slave and The Wolf of Wall Street because they aren’t out here yet. That also means movies released stateside in 2012 may count here because they actually came out down under this year. Finally, as with my games list, any review scores I gave out at the time of a movie’s release don’t necessarily count towards the order of the final list. This list represents my opinion only. I am not asserting any kind of superiority or self-importance by presenting it as I have. My opinion is not fact. If you actually agree with me 100%, that’s scary. Respectful disagreement is welcome. Giant robots punch giant aliens in this movie and that is pretty much all you need to know, other than that it’s helmed by acclaimed director Guillermo del Toro. The Mexican has a strong connection to the world of Japanese anime, having been raised on the stuff, and his passion for the larger-than-life storylines of the likes of Neon Genesis Evangelion is obvious in his affectionate homage to all things kaiju and beyond. The characters of Pacific Rim are hammy cartoons that prove to be endlessly entertaining to watch (although some of their accents could stand to be a bit more believable) and most of all the lengthy fight scenes look absolutely stunning. Let go of your preconceptions, relax and watch this movie if you haven’t already. Man, this list was difficult to put together. 2013 actually turned out to be a pretty good year for local multiplayer games, particularly co-operative experiences. I was even able to write a post entirely focusing on the juicy co-op offerings in August alone. But the best of the bunch came along a little earlier in the year – Monaco: What’s Yours is Mine. The colourful stealth game – wait, I mean panic game absolutely deserves to be played with four players. Picking the perfect combination of abilities and heading into a new top-down sneaking challenge stays consistently exciting, because you know what’s going to happen – someone is going to mess up and raise an alarm and things will get hectic very quickly, but come hell or high water, you WILL get through to the end by any means necessary. I really didn’t buy nearly enough English-language music this year to do any sort of countdown relating to it. If listening to K-Pop is a bit of a niche pursuit in these parts of the world, which it certainly is, then indulging in K-Pop albums is like a niche within a niche. Unfortunately many K-Pop fans never go beyond watching the MVs that, to be fair, kind of define their industry, and they don’t see any reason to do so. Typically K-Pop albums can be shallow efforts to fill a track quota and make more money off the hype surrounding a single title track. My efforts to explore the extensive back catalogue of K-Pop albums in 2012 revealed as much, with some exceptions of course. Something changed in 2013, though. The general standard of albums I looked into this year seems to have raised, for reasons I won’t speculate on. I’m cool with it, though. Particularly noticeable was the output of SM Entertainment, previously one of the absolute worst offenders in this area. They released “full albums”, as opposed to the far more common and easy to release “mini-albums”, for pretty much every major group in their stable in 2013. Most of them were quite good to boot. As the number one record label in K-Pop, I would be surprised if this didn’t influence some of the other companies in some way to put more effort and creativity into their album writing. Because they have fundamentally different structures, this countdown is actually divided into two top fives: one for mini-albums and one for full albums. An album counts as “full” for the purposes of this list if it has eight tracks or more. Korean-American YouTube singer turned K-Pop star Ailee has one of the most powerful voices in the current industry landscape and she puts her pipes to work in her second Mini-Album A Doll’s House, which manages to trump her debut 2012 effort Invitation despite only featuring one title track (Invitation had two good ones). Said title track, bombastic big band song U&I, is a perfect high-energy opener to the album, before songs like No No No, Scandal and final track I’ll Be OK showcase her mid-tempo proficiency. How Can This Be is an enjoyable 3/4 ballad, but the highlight of the album is unquestionably Rainy Day (audio below) which builds well and lets Ailee hit plenty of vocal heights. As an article on seoulbeats.com so astutely pointed out this year, the song sounds even better with the site Rainy Mood open in another tab. This is without question one of my favourite lists to make. A particularly amazing scene within a movie can elevate the entire film in the eyes of anyone it affects. Much like a memorable character, a well executed scene can also overshadow a mediocre film. But either way, a notable segment of film is always a talking point, and an immensely enjoyable talking point at that. The following scenes made me stand up (not literally) and take notice throughout 2013. Some were scary, some were amusing, and some just blew me away, but all were captivating in their entirety. Spoilers most definitely follow, given the nature of this list. I wouldn’t say Anchorman 2 is better than the first one – it’s way too long and tries a bit too hard to make a point – but I laughed quite a lot during the movie anyway, which was somewhat of a pleasant surprise. It occasionally suffers from a desire to revisit old jokes, but it manages to pull most of these off, none more spectacularly than when Ron Burgundy’s news team finds itself in the middle of another obscene inter-network brawl. 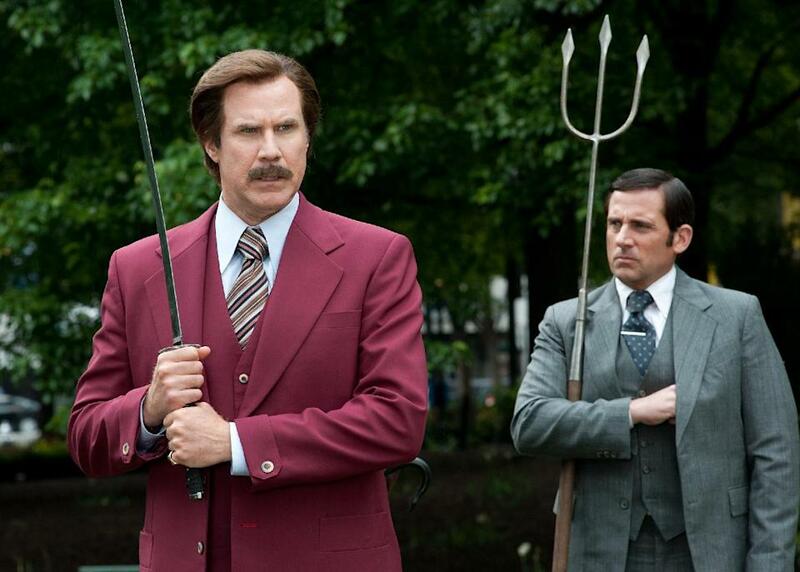 The number of big-name cameos that take place in this scene borders on ridiculous, even compared to the over-the-top equivalent battle in the first Anchorman. The actors who show up (I won’t name them just because the film is still so fresh in theatres) mostly aren’t even comedic ones, but they all clearly relish the chance to make fun of themselves. Minotaurs, werewolves, cannons and fighter jets then get involved. The revisitation really shouldn’t work, but it does. 2013 gave gamers the world over a host of memorable moments to celebrate, lament and ponder over, whether with narrative twists, epic set pieces or tight gameplay sections. Yet as always, some videogame-related moments are entirely of the player’s making. A memorable gaming moment is made up of many elements and factors, from game design itself to who the player experiences it with, what frame of mind he or she is in, prior experience and so on and so forth. They can come from something as universally discussable as a shocking ending, or as seemingly innocuous as overcoming a tiny challenge tucked away within a game. 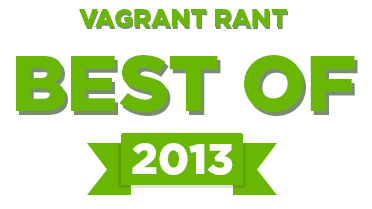 With these personal factors in mind, here are my top ten most memorable gaming moments of 2013. SPOILERS DEFINITELY FOLLOW, so read at your own risk. 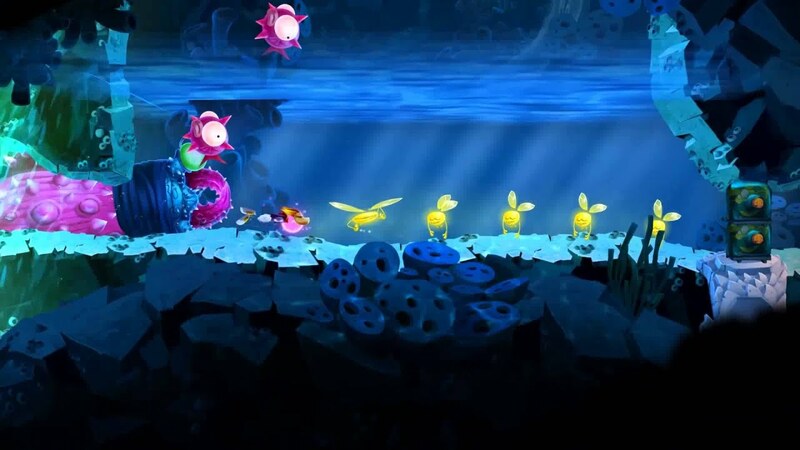 Of all Rayman Legends’ many amazing ideas and level mechanics, the all-too-few music stages surely have to rank among the best. They certainly are the highlight of the game for me, as they mix traditional twitch reflex platforming with an almost Guitar Hero or Rock Band-esque reliance on rhythm and timing. Each music level is a zany tribute to a well-known piece of music (with the exception of a wonderful original orchestral piece) drawing inspiration from sources as varied as Anthrax, Survivor and Ram Jam. But my favourite has to be Gloo Gloo, a delightfully silly interpretation of Woohoo by the 5.6.7.8’s. It’s hectic, tense and above all tons of fun, much like the game in general. You can watch the whole level on YouTube here. Here we are at the midpoint of my Best Of 2013 lists with my first movie-themed countdown. This year I decided to delay starting the movie-specific lists to allow for the last traditional release date of the year for new movies, Boxing Day, to pass by. Hopefully this will avoid a repeat of last year’s situation where I had to ignore Wreck It Ralph and Les Miserables. That said, let’s count down some memorable characters. The characters on this list need not be appearing for the first time in a film; fresh interpretations of other material, recurring players in a series and even depictions of real-life people are all fair game. 2013 gave us examples of all these types, and while each character on this list stimulated a different set of emotions from audiences, all managed to be memorable in some way. Many of them are villains, but there are some good guys thrown in there too. Some were actually more memorable than the movies they came from, while others helped their movies to reach great heights. In any case, these are the scene stealers I enjoyed watching the most in 2013. Some spoilers will probably follow. 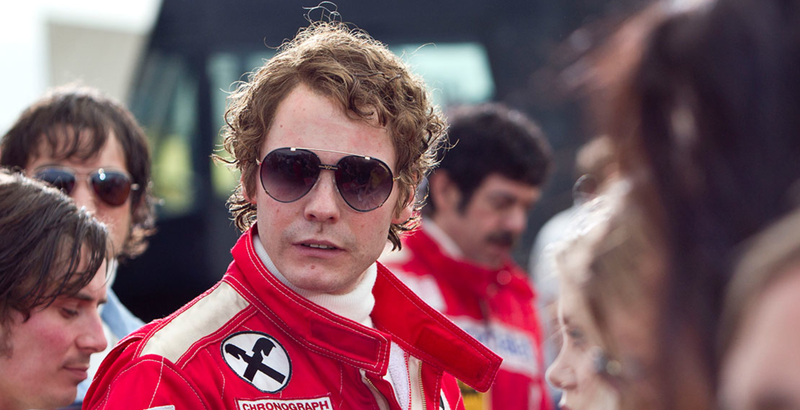 Though Niki Lauda is, of course, an actual person, the version of him put to screen in Rush by Daniel Bruhl (of Inglorious Basterds fame) is at once frustrating and admirable. Though his real-life Formula One rivalry with Liam Hemsworth’s James Hunt is exaggerated in the film to the point where Lauda is portrayed as obsessive over beating Hunt (at one moment even lamenting that “happiness is the enemy” if he wants to be successful in his pursuit), Bruhl sells enough of Lauda’s vulnerable and/or appreciative moments to make him the highlight of the film. Though much of the marketing for the film sells Rush as a movie about Hunt’s champion 1976 season, it really belongs to Lauda (and Bruhl). Merry Christmas everyone! Here’s a new kind of list that I can see myself coming back to next year. It’s a smaller list to counteract the length of the last one. There were many videogame platforms vying for the attention of consumers in 2013, which was overall a pretty spectacular year for memorable gaming experiences. Some of these consoles struggled on the sales charts more than others, but most of them enjoyed at least a few worthwhile game releases. So what if someone were to rank them with sales factors out of the equation, based on user experience and, above all, the quality of their game releases throughout the year? An answer to that question, albeit a subjective one, is coming at you right now. 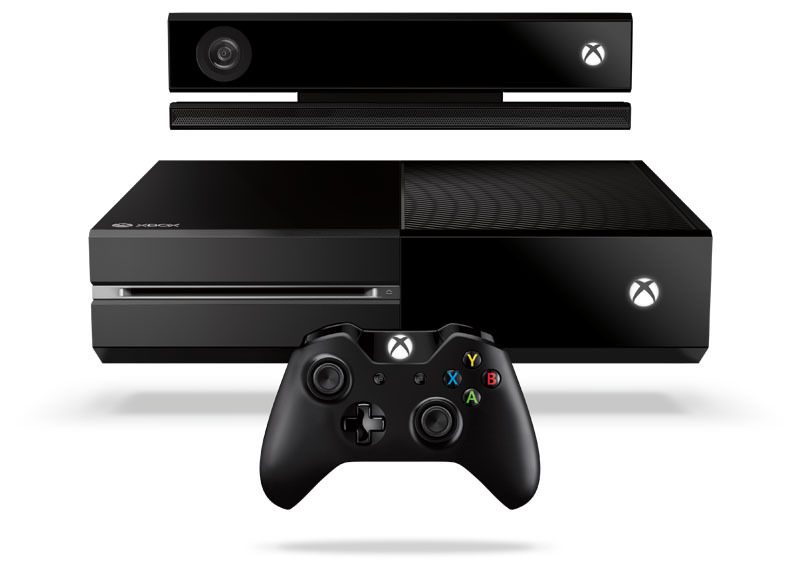 Of the two exciting “next-gen” consoles released worldwide at the end of the year, the Xbox One probably had the slight edge in terms of early game library. The excellent visual showcase Ryse impressed many right from day one, despite its repetitive combat mechanics, while Dead Rising 3 by all accounts fixed many of the problems the series has suffered from since its inception and Forza 5 leveraged the power of the console to great effect with its hyper-realistic car models and innovative “Drivatar” AI augmenting system. Peggle 2 followed soon after launch and received great critical acclaim, with Plants vs Zombies Garden Warfare and Titanfall to follow early next year. Its current position is remarkable given the hate thrown its way in the middle of the year, when it was looking like quite a different beast.